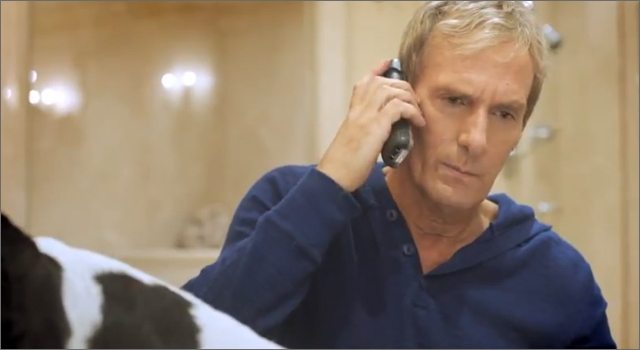 Big time 90s warbler and comedic actor (you’ve all seen his turn as a pirate in Lonely Island’s ‘Jack Sparrow‘ video) Michael Bolton may have sold millions of albums around the world, but according to a new ad created by Mother New York, he’s fed up with getting phone calls from people who dial his number by mistake when they are trying to reach U.S. cable company Optimum. The ad’s premise is that the cable company and Bolton share a very similar number phone number, his being 866-200-7152 and Optimum’s is 866-200-7151. Now Bolton can’t trim his hedges (no, that’s not a metaphor), create pottery, wash the dog, or go bouncy-bounce on his trampoline without being interrupted by people looking for great deals on TV, internet and phone. If you do call 866-200-7152 (and really, you know you want to), you’ll get Bolton’s answering machine, where you can not only hear his pitch for Optimum and choose 1 to connect to the cable company, but you can also “press 2” to hear him shred on a guitar, “press 3” to hear how he warms up his voice, “press 4” to hear him speak Spanish, or “press 5” hear a funny joke (it’s not that funny). ‘Patrol Vs Beethoven’ is definitely one of those “I wish I was in the room during the client pitch” type campaigns. 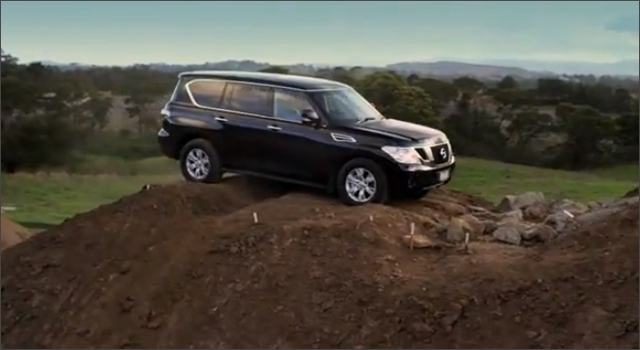 To highlight the powerful yet refined qualities of the Patrol, Nissan Australia constructed a 4×4 track to match, based on the outline of the waveform from Beethoven’s Symphony No. 9. Next they invited Mr. 4×4 himself, Pat Callinan, host of TV series ‘Pat Callinan’s 4×4 Adventures’ to take the Nissan Patrol for a precarious drive up and over the 5 storey high mountain of dirt. ‘Patrol Vs Beethoven’ was created by WhybinTBWA Melbourne. 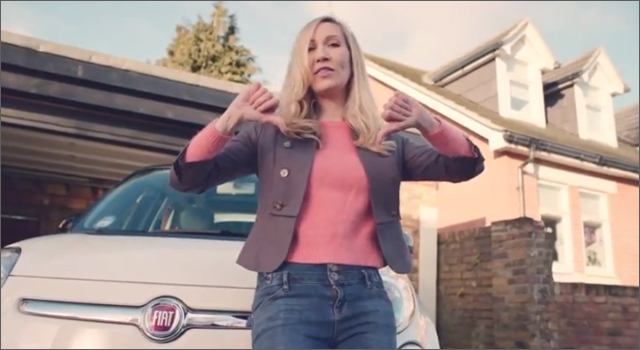 To promote the 2014 Fiat 500L as an attractive vehicle option for a young British family, the car company has unleashed ‘The Motherhood’, a rap video featuring a humorous look at the daily challenges of a young mother of two kids. The video, created by krow communications, produced by Rubber Republic and seeded by Maxus, relegates the car to a shiny background prop as the unflinching young mother throws down nasty rhymes for things like infant defecation and episiotomy stitches. “We wanted to connect with our target audience, starting with dynamic young mums, in a way that demonstrated our understanding of the challenges they face balancing motherhood with their desire to keep hold of their pre-children identity,” says Elena Bernardelli, marketing director, Fiat Group Automobiles UK. ‘Mad World’ was first released 30 years ago, becoming the first chart hit for Tears for Fears. In 2001, composers Michael Andrews and Gary Jules produced a haunting stripped-down version of the song for the soundtrack of ‘Donnie Darko’. That version has become even more well-known, hitting #1 in the UK during the holiday season in 2003. 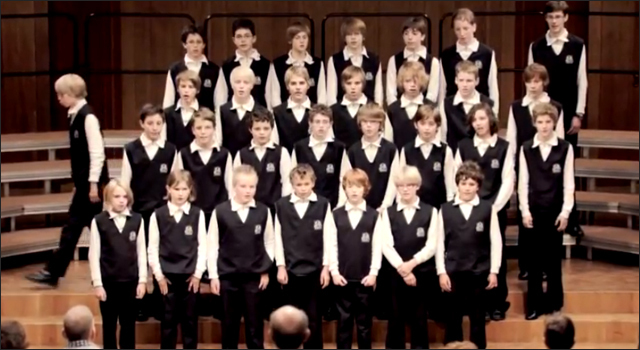 To help bring attention to Universal Children’s Day on November 20th, German boy’s choir Wuppertaler Kurrende not only performed ‘Mad World’, but they demonstrate the tragic fact that every three seconds the world loses a child. This year many children will not live to see their fifth birthday, due to hunger, malnutrition, dirty water or the absence of vaccines, among many others, which can weaken the immune system so much that avoidable diseases lead to life-threatening danger in children worldwide. 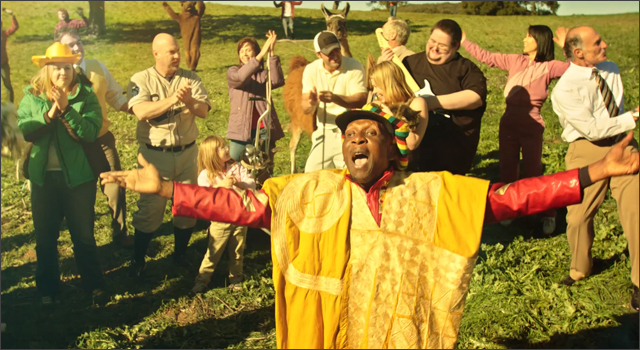 ‘The Lost Choir’ spot was created International Children’s Fund by Grey Worldwide, directed by Tim Neiser and produced by Parasol Island. 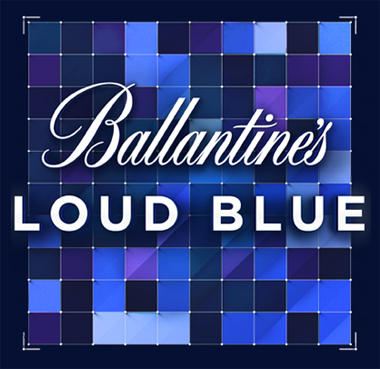 Scottish whisky brand Ballantine’s has launched ‘Loud Blue‘, the latest installment in the brand’s ongoing Leave An Impression campaign. 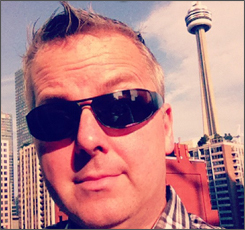 Loud Blue is an online music platform that creates an original piece of music inspired by your Instagram pictures. Simply add the hashtag #loudblue to an Instagram photo and share it to Twitter. In just seconds users receive a Twitter response from @loud_blue containing a link to your personalized soundtrack. How does it work? Aspects of the photo such as colour, brightness, and people’s faces are used by the application’s algorithm to create a short piece of music. Red in the image will make the tempo slower, while yellow will make it faster. The brightness in areas of the photo will affect how complex the music is. If the application detects a face in the image it will add a vocalization. If there are several faces the vocalizations create a choral effect. The unique pieces of music were created by Brazilian Electro-House duo Felguk, who will use some of the Instagram-inspired music at an exclusive upcoming live event. The project was created by London digital and social agency, Work Club. Most train safety PSAs rely on scare tactics to make people aware of the results of being careless around train tracks. Melbourne Metro Trains, agency McCann Melbourne and Tangerine Kitty have taken a different approach, producing a catchy tune titled ‘Dumb Ways 2 Die‘. The song compares the stupidity of someone’poking a stick at a grizzly bear’, or ‘scratching a drug-dealer’s brand new ride’ with ‘standing at the edge of the train platform’ or ‘driving around the boom at a level crossing’. The PSA features an assortment of cute, colourful risk-takers, who despite their horrific injuries, still manage to return to dance and sing their way through the catchy chorus. 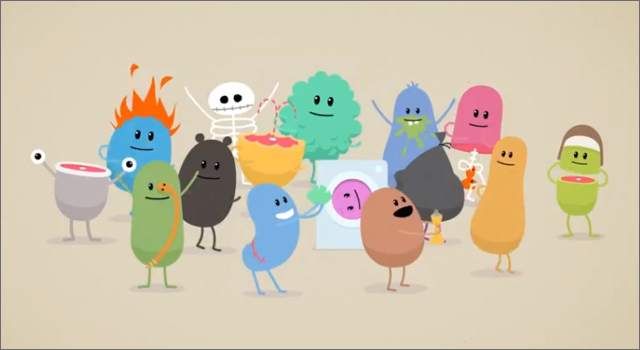 Also included in the campaign is the Dumb Ways to Die website of safety tips, a Tumblr blog featuring animated clips, a Soundcloud posting featuring the song and a ringtone version. Since Volkswagen actually means ‘People’s Car’ in German, it’s seems a logical move for the car maker to leverage Depeche Mode’s 1984 hit song ‘People are People‘ for an ad. 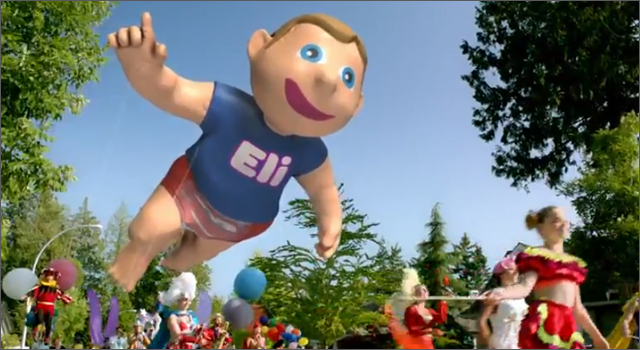 That’s exactly what has happened in a new TVC promoting the launch of the Volkswagen’s Golf Mk7. In the ad several driver’s put their unique spin on the Depeche Mode classic including lead singer Dave Gahan. The Metropole Orchestra is a Dutch jazz and pop orchestra created in 1946 by the Netherlands Public Broadcasting. However the Metropole Orchestra is no longer subsidized and faces budget cuts. 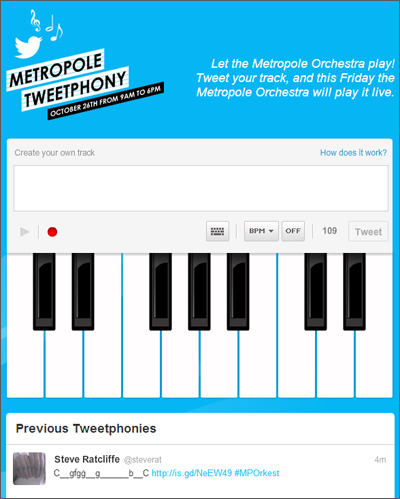 To help raise awareness of the Orchestra, creative agencies Havas and Perfect Fools have created Tweetphony, a website where visitors can use a keyboard to compose their own 140 character symphony. The best ‘tweetphonies’ will actually be performed by the orchestra on October 26 and posted on YouTube. Listen and see if you recognize any of the melodies. 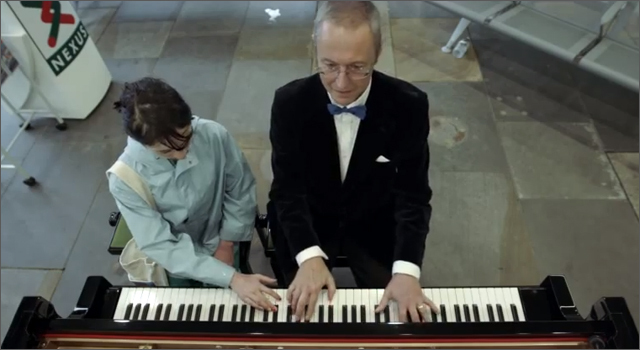 In a project to help introduce classical music to a wider audience, commuters passing through Newcastle’s Haymarket Bus Station were asked to sit in with pianist, Andy Jackson and contribute a few notes to create a collaborative performance of Beethoven’s moonlight Sonata. The installation was conceived by Newcastle artist Anton Hecht, and funded by The Arts Council of England and the Tyne and Wear area bus company Nexus.